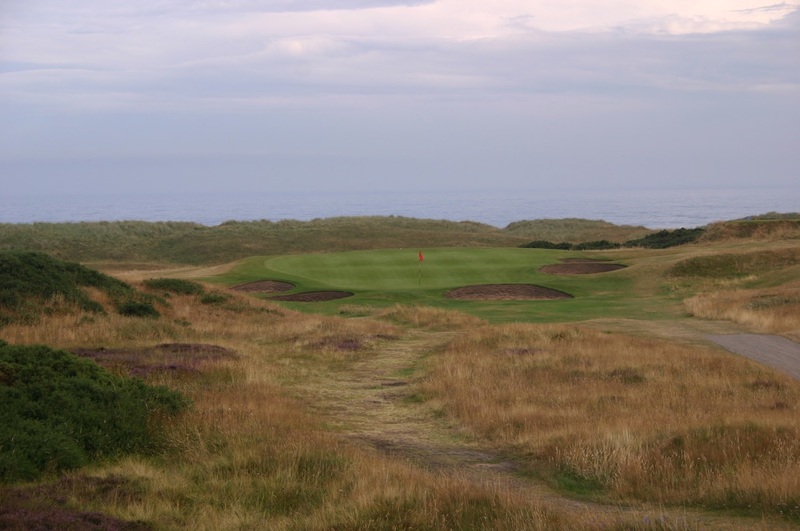 Although the formation of the (Royal) Aberdeen Golf Club in 1780 was the birth of organized golf in Scotland’s North East, the genesis of the game in this region dates back much further. In fact Aberdeen’s initial layout, the Queen’s Links, was the subject of the world’s earliest recorded description of a golf hole in 1625 and many believe the game itself actually originated here. By 1887 the club had outgrown its increasingly popular links, however, and migrated across the River Don into the magnificent Balgownie linksland two miles north of town. 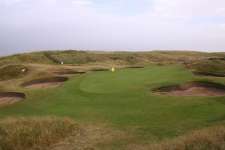 There a new course was designed by Carnoustie golfers, Archie and Robert Simpson, and later re-bunkered and lengthened by the great James Braid. One of the oldest, finest and most underrated links in all of Britain, Balgownie has a classic out and back routing with holes laid out on lumpy links ground along the North Sea shoreline. 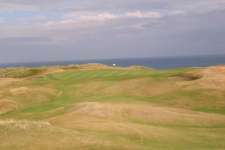 The outward holes are the most celebrated, running beside the roaring ocean they follow deep coastal dune formations while the less intimidating inward nine are set on a slightly elevated plateau but are equally demanding as they are sensibly routed back into the prevailing winds. The opening stretch of holes are among the strongest in Scotland and boast the sort of scenery, design variety and visual excitement of golf’s elite courses. The round begins with a terrific hole played from beneath the clubhouse, the drive needing to squeeze through bunkers before you play the memorable cross-valley approach into a steep plateau green. The next is a rugged par five through dunes and across a boldly contoured fairway, which is followed by a strong and semi-obscured par three that crosses small sandhills and completes an excellent opening trio. Also outstanding, the 4th features a fabulous approach across some of the site’s wildest undulation while the short 5th is a classic risk-reward par four with a well-bunkered but incredibly tempting away sloping target. 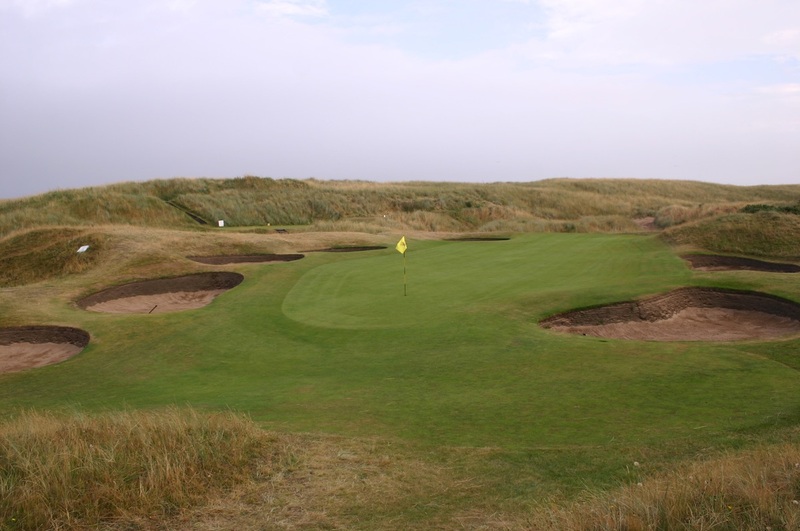 Concluding an extraordinary half of golf, the 9th bumps its way along a rippled ridge toward the northern corner of the property, where its green overlooks the terrific neighboring Murcar links. Though the front nine occupies the prime coastal dunes and features most of the exciting terrain, the flatter and elevated back nine is still great fun with the same clean-cut revetted bunkering, fascinating putting surfaces and first-rate links turf. Visually from the tee, the holes are slightly less impressive than the front nine, with the exception of a blind drive across a large ridge on the 10th. The golf, however, remains fantastic particularly the triple-tiered par three 17th and the rolling par four 18th, which heads into a raised and heavily bunkered green site. 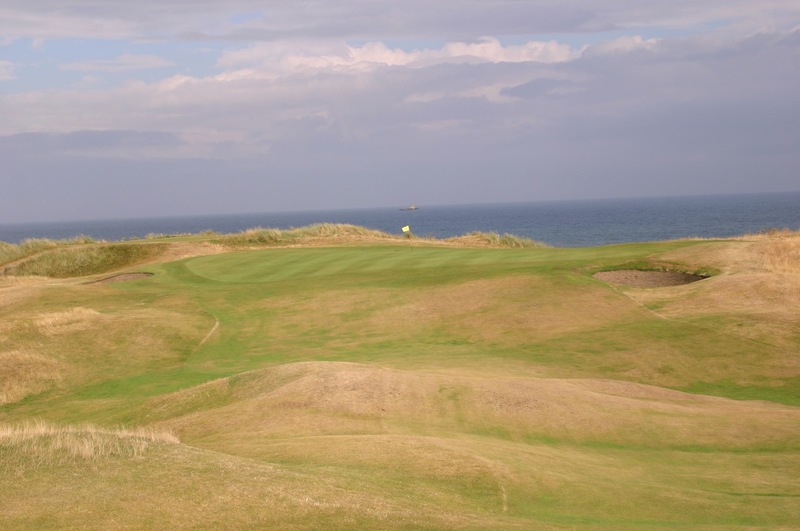 Despite its out and back nature, Royal Aberdeen has tremendous variety and actually features plenty of subtle directional shifts. Though reluctant to make major changes to its layout, in recent times the club has added some sensible new back tees to ensure the links remains a relevant and strict test in today’s terms. 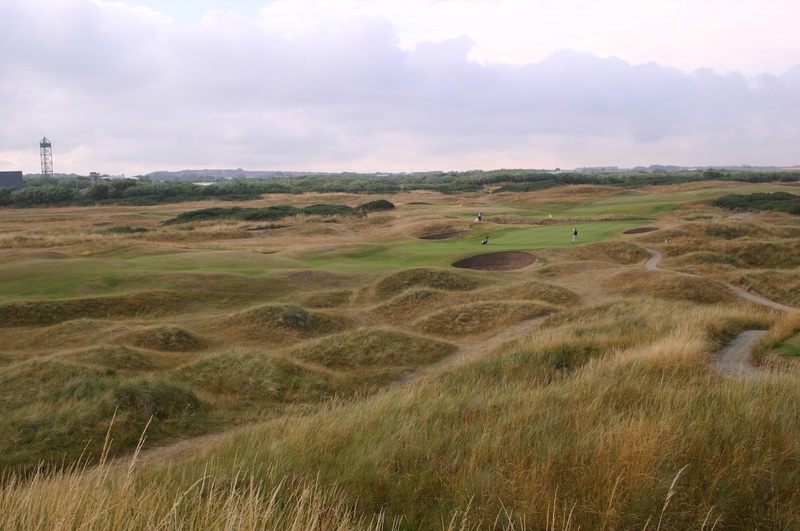 Given the discrepancy between nines, Balgownie is most often compared to other uneven big dune specials like Royal County Down and Machrihanish, though in truth the disparity is probably less pronounced here than elsewhere. That said the outward stretch is outstanding, the highlights coming thick and fast on a front nine that ranks among the finest few in the world.